A straight tee means a tee of pipe fitting which the branch outlet has a 90 degree direction turning from the main pipe of the tee.Commonly people consider the straight tee as the equal tee,it is a mistake.Equal tee means a same sizes of the branch and main pipe of a tee.Straight tee means it has a side port at right angle to the run. On the contrary to the straight tee,it is the lateral pipe tee.The straight tee could be a equal tee,also could be a reducing pipe tee (unequal tee). 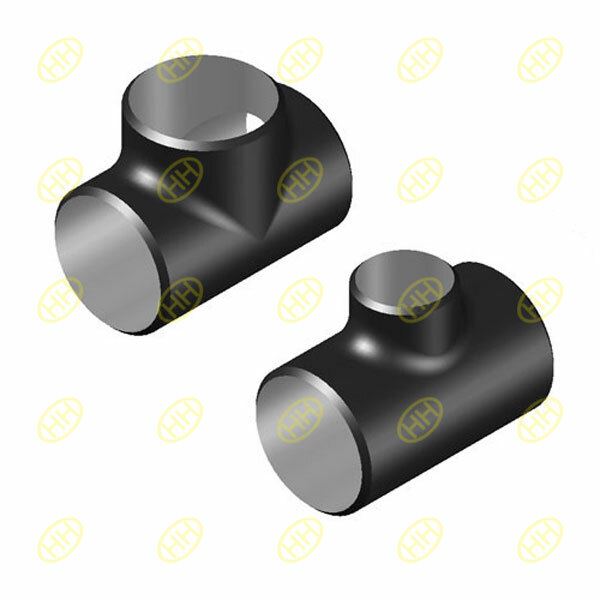 Officially a straight tee will be indicated by 3 diameters,namely 3 x 3 x 2 (A x B x C).The A & B measure stands for the Nominal Pipe Size of Run-Pipe, C measure stands for Nominal Pipe Size of Outlet.